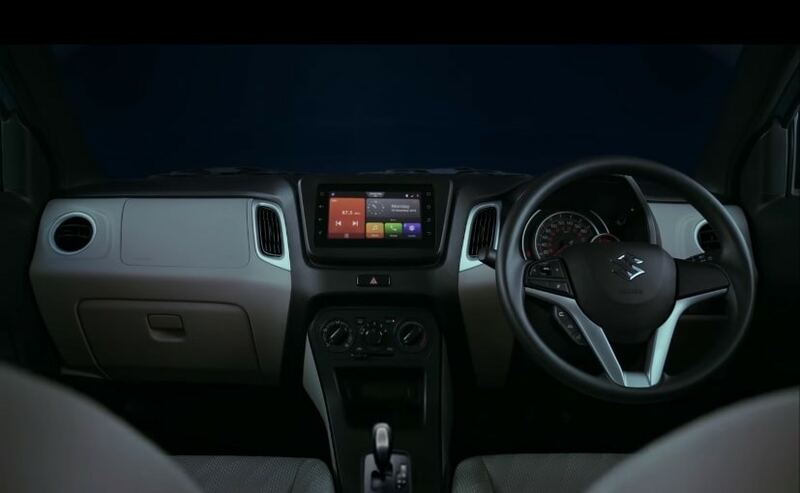 The new 2019 Maruti Suzuki Wagon R comes with a more upmarket cabin with a touchscreen infotainment system and other smart features. With the new-gen Maruti Suzuki Wagon R is all set to go on sale in India on January 23, the company has been releasing a bunch of teaser videos for the car. While we now already know what the car looks from outside, the latest Wagon R teaser gives us an extended sneak-peek at the car's cabin as well. Similar to what we saw in some of the recently leaked spy photos, the cabin of the new-gen Wagon R has gone through a major overhaul, with an all-new dashboard, new interior, and a smart touchscreen infotainment system, among others. The new 2019 Maruti Suzuki Wagon R now comes with a more upmarket cabin with a nicer-looking dashboard that comes with two-tone black and grey treatment. 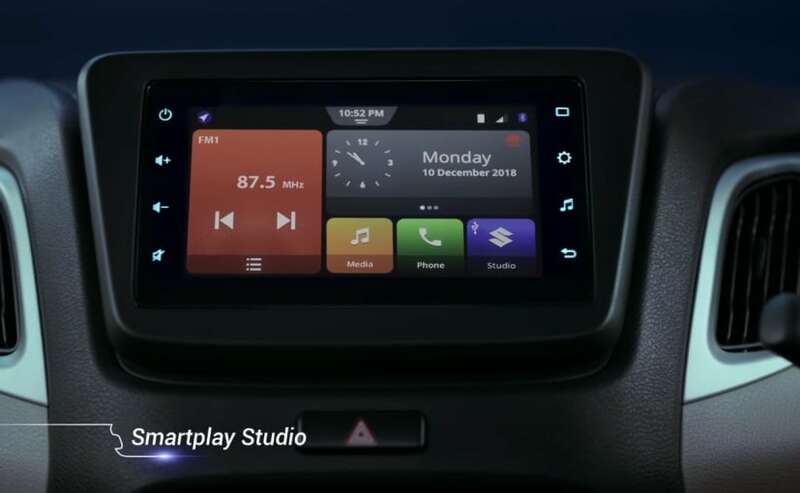 The centre stage is taken by a touchscreen infotainment system, which appears to be a new unit, called SmartPlay Studio, and it looks like the car will not get Apple CarPlay and Android Auto, as we had presumed. However, the system does appear to offer, USB, AUX-IN, Bluetooth connectivity, along with navigation. On either side of the infotainment system, we have vertically placed air vents with round vents on either end of the dashboard, but the aircon system is just a manual unit and not an automatic one. We also get to see the new steering wheel that comes with controls for music and telephony, while the new instrument cluster seems to offer more information. Furthermore, we also get to see the gear level for the AMT (automated manual transmission) unit a.k.a. Maruti's AGS (auto gear shift) system. The car also appears to get a larger glovebox. Visually, the new 2019 Maruti Suzuki Wagon R gets an all-new look with improved styling and design. The car gets all-new exterior design and styling, while still carrying its boxy proportions. The new Wagon R also features modern styling elements like floating roof design, vertically-stacked taillamps with an LED band, and a new face. The brochure confirms that Maruti will be offering six colour options - Supreme White, Silky Silver, Magma Grey, Metallic Brown and two new colours Autumn Orange and Poolside Blue. Under the hood, the Maruti Suzuki Wagon R will get 1.2-litre K12B four-cylinder petrol and a 1.0-litre K10B three-cylinder motor. The former makes 82 bhp at 5,000 rpm and a peak torque of 113 Nm at 4,200 rpm, while the smaller 998 cc motor makes 67 bhp at 5,500 rpm and a peak torque of 90 Nm at 3,500 rpm. Both the engines come mated to a 5-speed manual gearbox as standard and an optional 5-speed AGS unit.